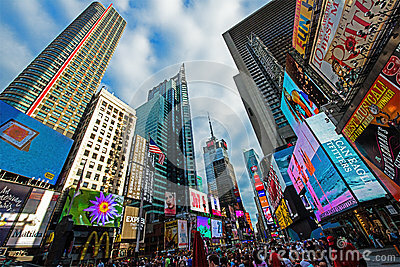 Wide angle view of Times Square in New York City. Colors abound from the neon lights and advertising signs. The location is a popular destination for people and tourists on vacation or holiday who like to travel.